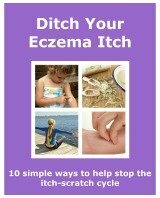 Are You Or Your Family Living With Eczema? If you have a story to tell or a tip to share, then you've come to the right place! You're welcome to share anything. Just type it in, add a picture or two if you wish, and share. Anything relating to eczema, I want to hear about it. Good, bad, tips, reviews, share your story. Have a question for our community, then ask away!